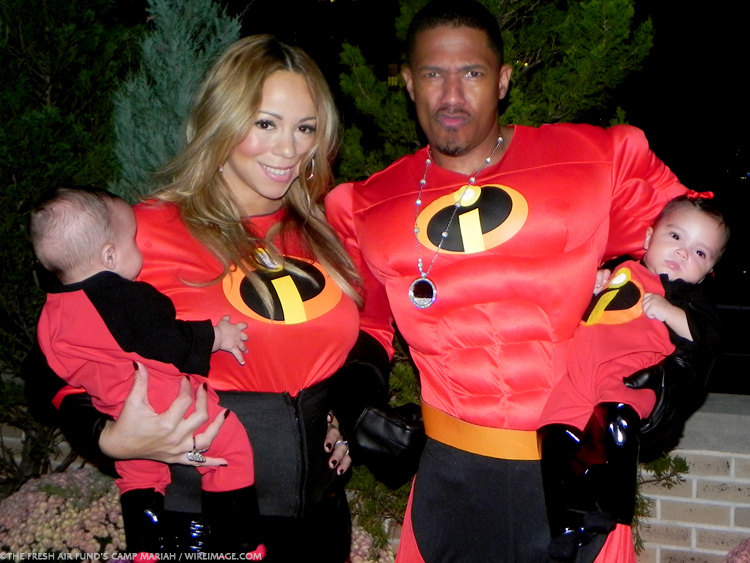 Last year Mimi was part of the Incredibles. 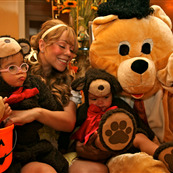 She, Nick Cannon, and DemBabies all dressed up in the same costume. It was truly family styles. Why should Mimi be one of many? This year she righted the situation. This year Mimi was Goldilocks. And everyone else - Roc, Roe, the husband - they were all bears. No-name bears. Boring, indistinguishable bears. I am very, very sad that we don’t have a photo of Goldilocks Mimi trying to stand up in those heels. Also, I love that she can never remember how she wants to spell DemBabies. Sometimes it’s DemBabies. Other times it’s Dem Babies. Or it could be Dembabies. There is no consistency on the dembabies.com. Please. Why waste time on quality control when they could be adding more gold and glitter to MariahCarey.com?